Meeting with the permanent members of the Security Council. 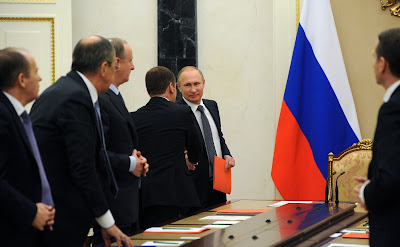 Putin.BLOG Security Council Meeting with the permanent members of the Security Council. 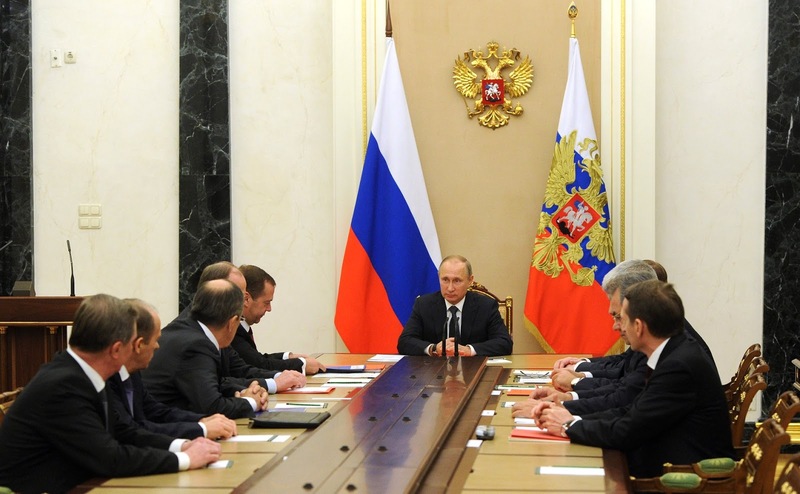 Vladimir Putin held operational meeting with permanent members of the Security Council. Progress of the Syrian army in east Aleppo. Release of considerable quarters of the city from the terrorists. Information presence of Russian media abroad. Preparation for the Message of the President to the Federal Assembly which is coming on the 1st of December, 2016. Meeting of the permanent members of Security Council. Vladimir Putin. Permanent members of Security Council. 0 Comment to "Meeting with the permanent members of the Security Council."